For a more responsive, fuel-efficient Gasoline or Diesel BMW or MINI, clean your engine – on the inside. ** Click HERE to see Dyno proven 20 horse power improvement after using Liqui-Moly products. • Piston ring groove residue (carbon and/or varnish) causes the piston rings to stick, preventing them from “floating” and doing their job. As a result, compression deteriorates, reducing power and economy and harmful gases can “blow by” the rings and contaminate the engine oil, (which can damage the engine). 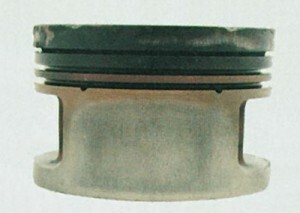 Piston with carbon and varnish build-up. Rings cannot float in ring grooves. • Fuel injectors are designed to spray fuel in a fine mist, creating an even distribution of microscopic fuel droplets throughout the air in the chamber. This promotes cleaner, stronger combustion. As gunk builds up on the tips of the injectors, the spray becomes “lumpy,” with larger droplets being spewed out instead of a fine mist. • Carbon deposits on the back of the intake valves disrupt the smooth flow of the air/fuel mixture into the cylinders, negatively impacting the full atomization and mixture of the fuel and intake air. This negatively impacts engine performance by reducing efficiency and power. The result of all of this build-up is a gradual reduction in power, response and economy. 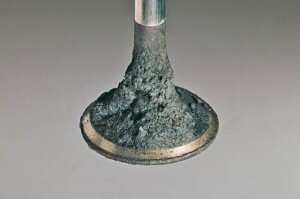 How much residue/gunk/deposits does my BMW have? That depends on how well you’ve maintained your engine and, more importantly, how well the previous owner maintained it! Despite a seller’s claims – be it a private party or a dealer – you can never really know the true condition of the inside of the engine. (We’ve seen a lot of “dealer maintained” BMW engines that were loaded with nasty build-up.) The good news? There is something you can do about it… and it doesn’t involve anything more complicated than an oil change. Motor Clean (Engine Flush) - Frees harmful residues from piston rings and reduces sludge throughout the engine. Add to warm engine oil, run engine for 10 minutes, then drain oil and complete a standard oil change. 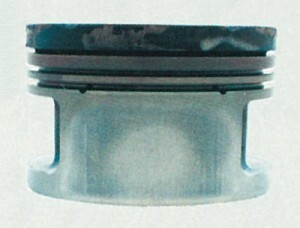 Ceratec - Improves fuel economy and lowers exhaust pollutants by reducing wear 35% or more. Mix with fresh engine oil before refilling engine, after Motor Clean treatment (above). Jectron - Cleans injectors without costly removal. Eliminates hard starting, rough idling and poor throttle response. Add one can to the gas tank when you fill up. Add another can the following month, then a can every other month, alternating with Ventil Sauber (below). Ventil Sauber (Valve Clean)) - Removes deposits on valves and in the combustion chamber and prevents new deposits from forming. Add a can to the tank of gas immediately after the initial Jectron treatment, then a can every other month (alternating with Jectron). 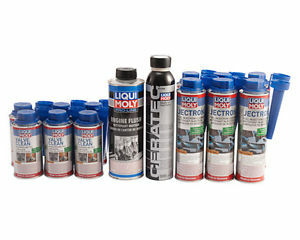 The Liqui-Moly Engine Renewal Kits are available for both gasoline and diesel models. Additionally, the kits can be purchased in 1-year or 6-month quantities. There’s even a kit for maintenance that can be used after the initial renewal kit applications. The full 1-year Engine Renewal kit includes one container of Motor Clean, one container of Ceratec, a 6-pack of Jectron and a 6-pack of Ventil Sauber. We recommend this as an annual program for any engine with 60,000 or more miles on it, and it’s an ideal way to bring your recently purchased, “dealer maintained” BMW back to baseline.